Please fill out the form below, and we will contact you when we have the 2019 schedule posted and available. Saugatuck Township Fire District (District) is committed to Community Risk Reduction. 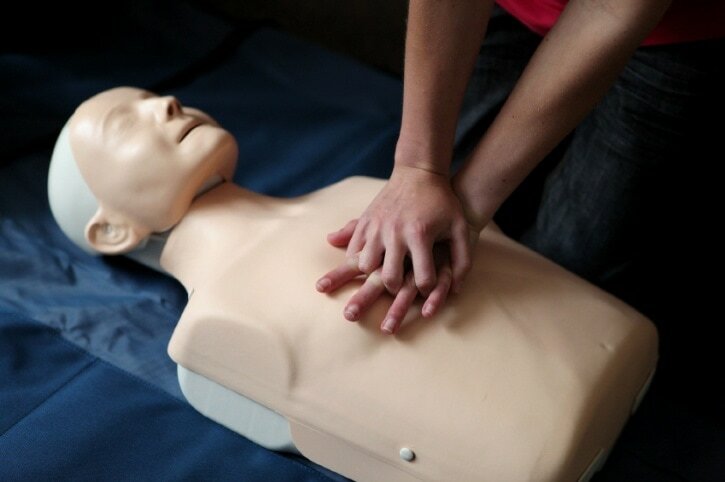 Cardiopulmonary Resuscitation (CPR) courses ensure community members are adequately trained in CPR & Automated External Defibrillator (AED) skills should they be needed. The Fire District is currently not offering any 2019 CPR classes while it works through new equipment requirements with the American Heart Association. Once we have this sorted out, we will update with website with new classes. Please check back later to see if classes have been posted for 2019. We apologize for any inconvenience this may cause. The District will offer the American Heart Association Heartsaver CPR/AED Course. Upon successful completion of skills demonstration, each participant will receive a digital course completion card (which requires a valid email address). Those without an email account may pick up their card at the fire station approximately one week after course completion. You should plan to arrive a few minutes early as the class will start promptly at the scheduled time. The classes are hosted in the District’s Training Room on the 2nd floor of the fire station. You should wear comfortable clothes as much of the course will be spent on the floor practicing CPR & AED skills. Class size is limited to 16 participants. Registration is completed on a first come, first serve basis. You will receive email confirmation that you are enrolled.